Michael Diamond assists clients with matters related to the regulation of natural gas before the Federal Energy Regulatory Commission (FERC). Michael has experience on a wide range of issues under the Natural Gas Act (NGA), including pipeline rate and tariff matters, pipeline certificates, and abandonment proceedings. Michael has represented pipeline companies in rate proceedings under NGA Section 4, including drafting of applications, testimony, pleadings, and providing discovery support. Michael also assists pipeline clients with compliance, audits, enforcement, and litigation before FERC and the U.S. Court of Appeals for the D.C. Circuit. During law school, Michael worked as a judicial extern for the Honorable R. Guy Cole, Jr. at the U.S. Sixth Circuit Court of Appeals. Michael also worked at the Ohio Department of Development’s Energy Resources Division, helping to restructure the state’s grant program for funding small-scale renewable energy and efficiency projects. 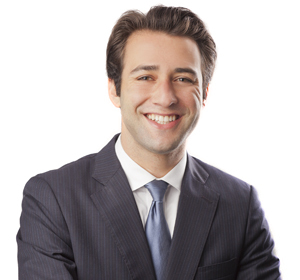 Additionally, Michael published several energy-related articles during law school and received the "best brief" award in his law school’s moot court competition. Acted as lead associate representing major pipeline company in rate case filed under section 4 of the Natural Gas Act. Involved in all legal strategy discussions, assisted with preparation of witness testimony, managed discovery matters, drafted pleadings and settlement documents. Conducting regulatory due diligence for clients interested in liquefied natural gas (LNG) export facilities, addressing risks in obtaining authorizations required pursuant to energy and environmental laws. Assisting companies seeking authorization to construct and operate interstate natural gas pipelines, navigating regulatory issues under the Natural Gas Act and National Environmental Policy Act. Assisting natural gas pipeline companies in bringing challenges before the U.S. Court of Appeals for the D.C. Circuit against failures by state and local agencies to act on applications for permits under the Clean Air Act and Clean Water Act. Acted as interim in-house counsel for a major gas pipeline operator. Represented a major natural gas pipeline in the preparation of a complicated series of facility abandonment applications at the FERC. Panelist, "United States Natural Gas Exports (specifically Liquefied Natural Gas) –The Implications for the Economy, Trade and Geopolitics"